Shift Coins - Accept Bitcoin payments and Litecoin payments on Your Website now! Shift Coins is a digital currency payment service that allows users to accept Bitcoins and Litecoins and exchange them for US dollars. Accept Bitcoin payments and Litecoin payments on your website to attract new customers and offer another payment method to your existing ones. Shift Coins makes it easy for anybody to accept digital currency payments. Start accepting Bitcoin and Litecoin payments on your website in just minutes. 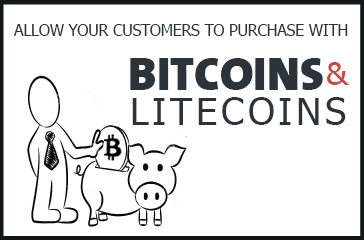 Shift Coins is the quick, easy, and safe way to offer Bitcoin and Litecoin payment options to your customers. Shift Coins does not perform credit checks and offers guaranteed approval. With the ever-increasing popularity of digital currencies, more and more merchants are accepting Bitcoin and Litecoin payments on their websites.